If your friend was driving to a neighboring country, what would you do? Hitchhike, of course! Dee and I cheerfully hopped into David’s aging Fiat to accompany him on his long trek to a Bulgarian wedding. We weren’t invited to the wedding, but we know how to make the most of exploring. Once we emerged from the mire of Istanbul traffic, it was smooth sailing—to the border, at least (300 K). 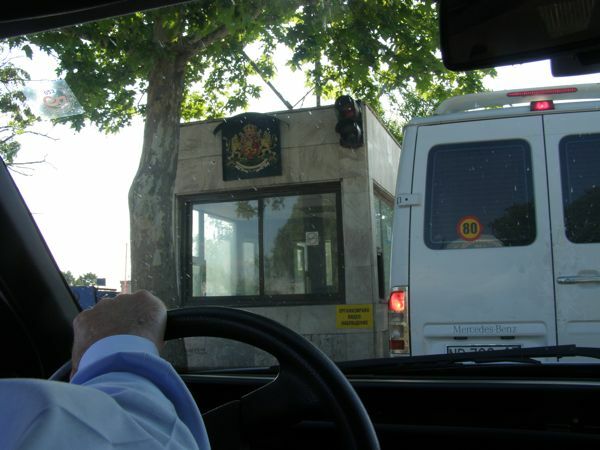 The Bulgarian border crossing isn’t exactly renowned for swiftness. In fact, David says he’s often spent hours there, held up by lines and paperwork. Unlike our Canadian border crossing at home, we stopped at no less than six (was it 7?) checkpoints along the road on both sides of the border. David’s car papers were scrutinized as though he were a fugitive from justice, and believe me, his water-damaged passport didn’t help either (a fly fishing mishap). Somehow we made it through all those stops in just over an hour, record time according to David. In spite of horrific roads, we arrived in Sofia around 11:00, passing “ladies of the night” as we drove the ring road to a friend’s house. Apparently these entrepreneurs service their clients on the spot—back seat bargains, I guess. Scary. Bulgaria is DEFINITELY not Turkey. We were finally delivered to our lovely boutique hotel around 2AM, where we caught some serious Z’s. Bird songs and sunshine woke us early, though, and we were antsy to get out to explore the city. We had breakfast outside, a grilled sandwich of sausage, cheese, and cucumbers. And they even have good coffee in Bulgaria—imagine that. David and his friend would meet us later, so we were on our own. Dee suggested we walk the mile or so to the historical area of the city, and I was glad. Not only did we need the exercise, but every few blocks brought a new discovery. 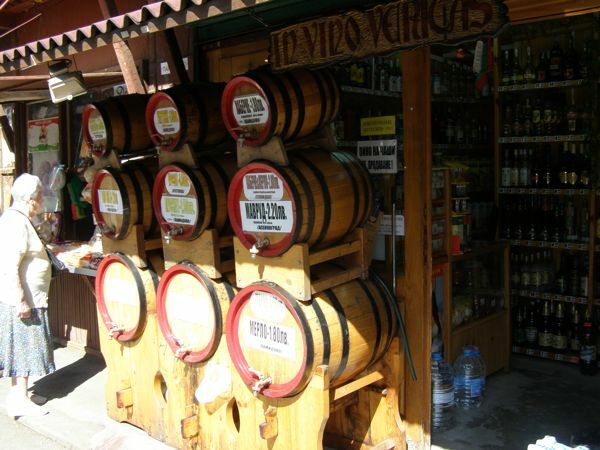 First we encountered the street market, where one booth sold local wine straight from huge wooden barrels. Either bring your own jug or drink from the spigot, I guess. This is TRULY B.Y.O.B. wine sales. 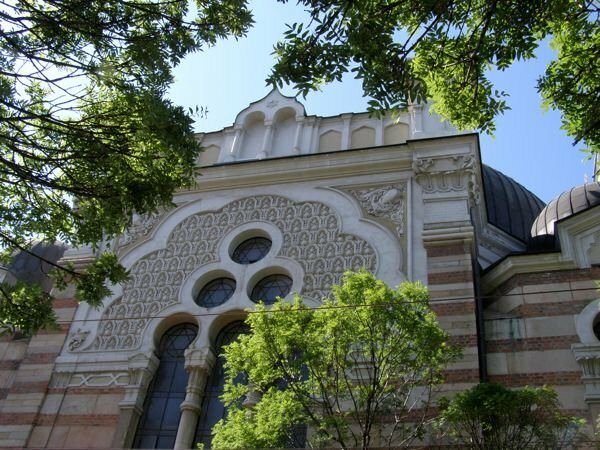 Just around the corner we discovered Sofia’s huge synagogue with its intricately sculpted façade. A block further we found the Banya Bashi Mosque, a relic from the Ottoman era. 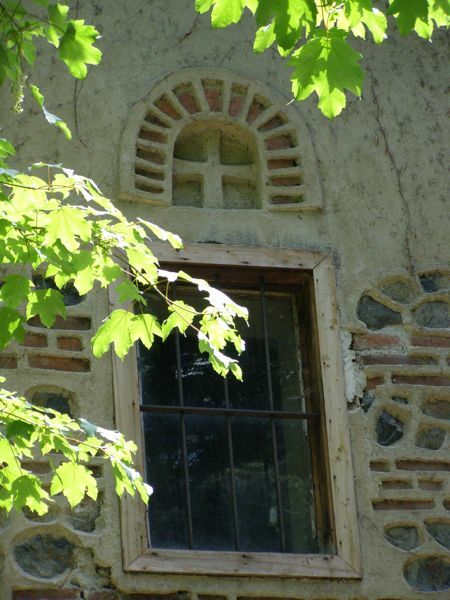 Because the Turks controlled Bulgaria for over 400 years, we noticed many similarities in food, architecture, and language, but only one mosque. Behind it was a fountain, and beyond that an entrancing building under renovation, once the city’s central baths. 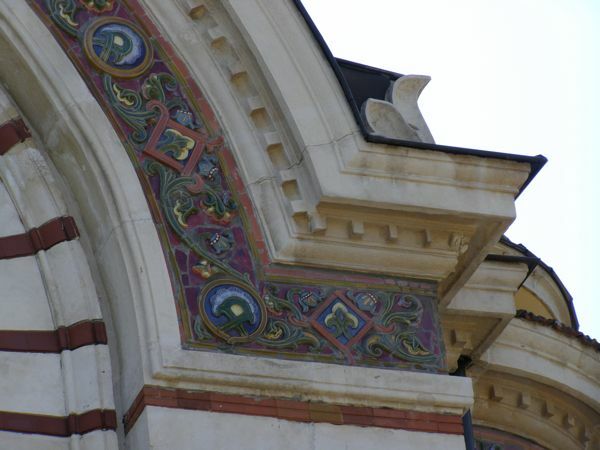 It had intricate ceramic borders along its cornices and windows which were more than charming. After snapping eight million photos, we headed off again towards the city center, only to be stopped by scores of people heading into a low-walled area carrying water jugs of all shapes and sizes. 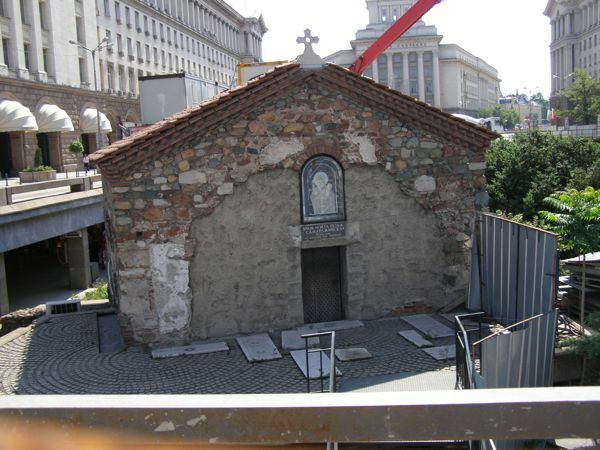 Hmmm… In the middle of Sofia there’s a myriad of little individual fountains, which we assumed were mineral water. I waited my turn at one of them and took a sip—HOT mineral water! 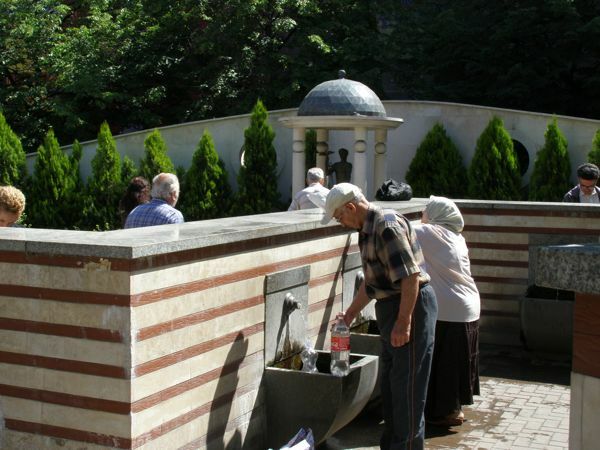 Apparently Sofia, which is located at the foot of a mountain, was initially settled because of these hot springs, a clear explanation for the nearby public bath and mosque. 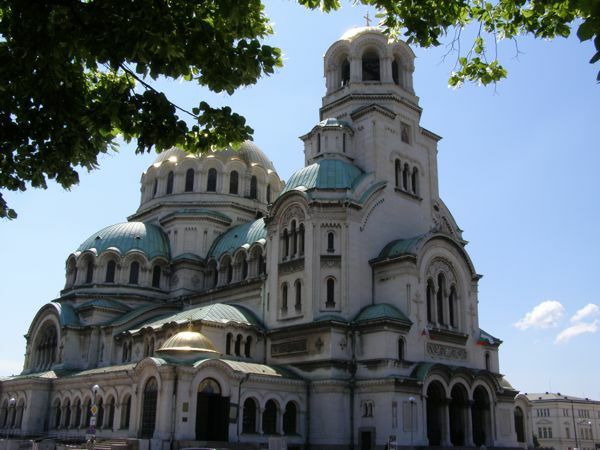 More photos, then off again to explore the city’s wonders: the Alexander Nevsky Cathedral, which dominates the city from its central plaza; the Church of St. Sofia (6th century) which gave the city its name; and the picturesque Russian Church of St. Nicholas the Miracle-Maker, built in the early 1900’s. Sunday we explored a new area of the city, catching a holiday parade. 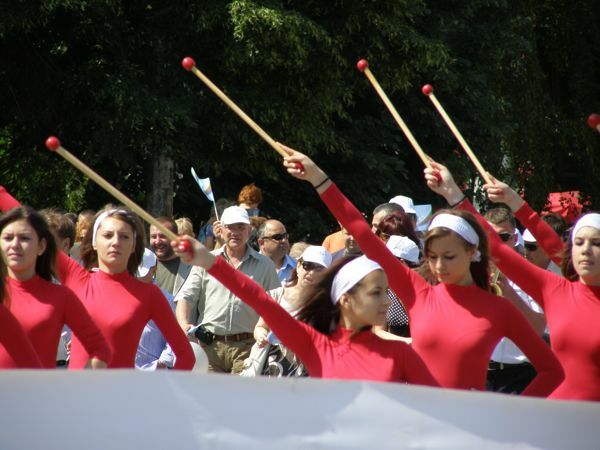 Instead of Memorial Day, the Bulgarians celebrate Cyrillic Alphabet Day on May 24th. 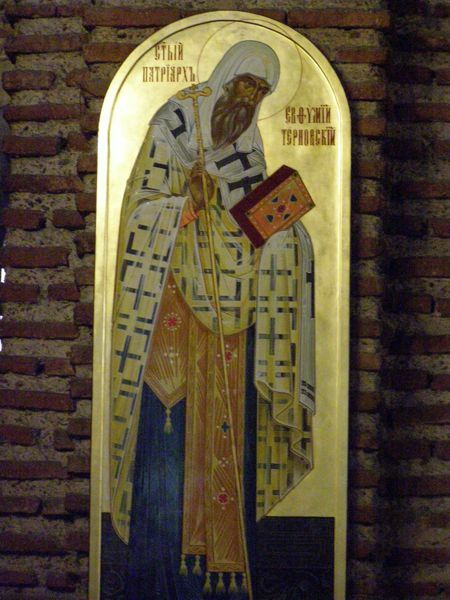 It’s actually devoted to two saints, St. Cyril and St. Methodius, the alphabet’s creators. 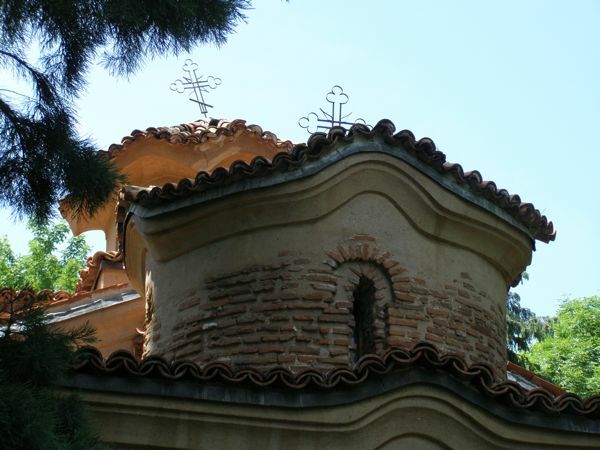 After watching the parade for a while, we visited the 14th century Church of St. Petka, where we sat in on (actually, stood in on) a service in its tiny sanctuary. The incense-laden nave held us, 7 local attendees, and a gilt-garbed priest who officiated the service holding a gleaming golden cross. 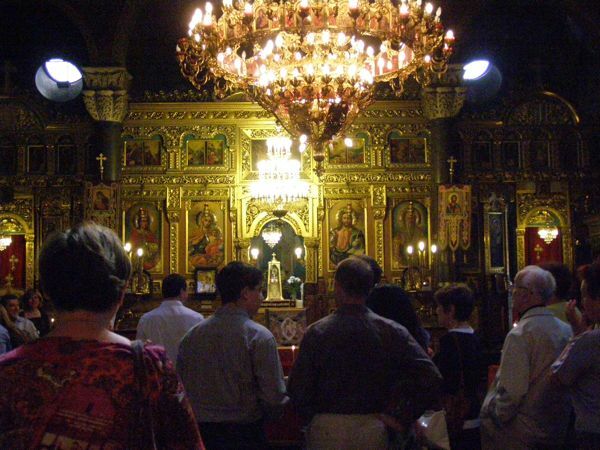 After that we explored St. Nedelya Church, which was completely reconstructed after a 1925 bombing. There we happened on a baptism, complete with the strains of a choir from a distant loft. 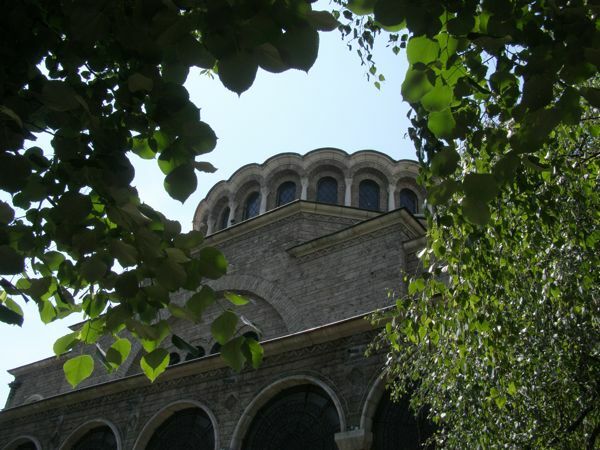 One more stop at the 4th century Church of St. George finished our morning explorations. 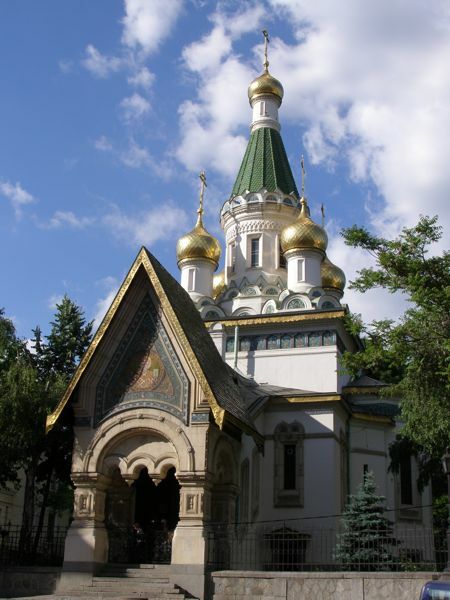 After that we met Nia at the Nevsky Cathedral, and she drove us up the mountain to see the charming Boyana Church, originally constructed in the 11th century. The church’s interior is painted with incredible frescoes dating back to 1259, including hundreds of human (and heavenly) images in a total of 89 scenes, all executed by one painter and his apprentice. After being selected as a UNESCO World Heritage Site in 1979, the church was closed for over 20 years for renovation, then reopened to the public in 2000. Only 10 people are allowed into the church at a time. After touring the Boyuna Church, we relaxed over lunch, then visited a grocery store for bacon, ham, cheese, and good wine. 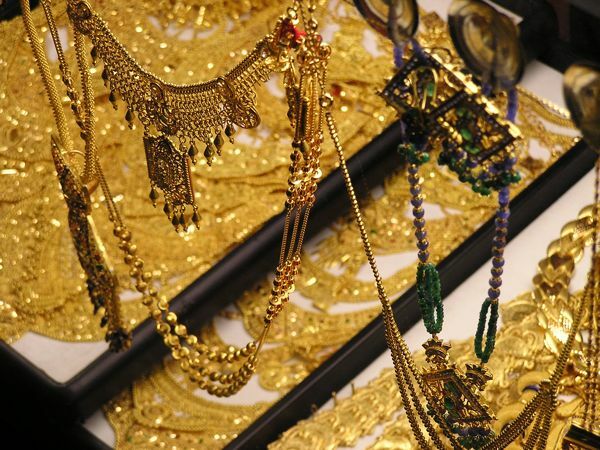 Treasures for Turkey. 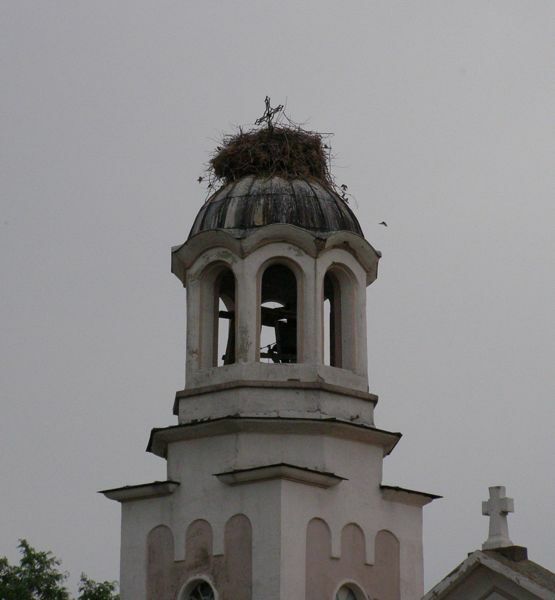 On the way home, we stopped to photograph a small-town steeple appropriated by a stork family. Too cute. We didn’t get home until nearly 1 A.M. Sunday night, again collapsing into the sack, exhausted. It was a good exhausted, though, after a great weekend. So now I’ve been to Bulgaria. Turkey is in the news again, this time for a monumental step forward. 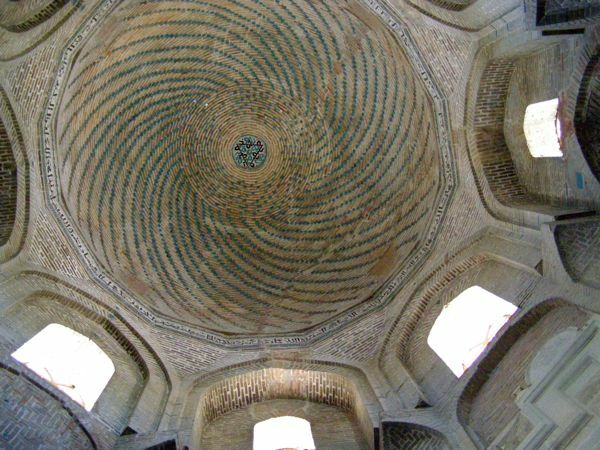 It recently opened the doors to the first Turkish mosque designed by a woman, the Şakirin (shah-KEER-een) Mosque. And it’s STUNNING! After learning about it last week, a number of us made a weekend trek to the conservative community of Üsküdar to check it out. After a good deal of help from Turks on the bus, we found it. And believe me, we were not disappointed—not at all! Architect Zeynep Fadillioğlu has designed many upscale homes and hotels around the world, but according to a recent BBC article, she said she cried when she was offered this particular project. Although Turkey is a secular democracy, women often still find themselves bucking traditional expectations, and Fadillioğlu was asked to open a new frontier for Turkish women. 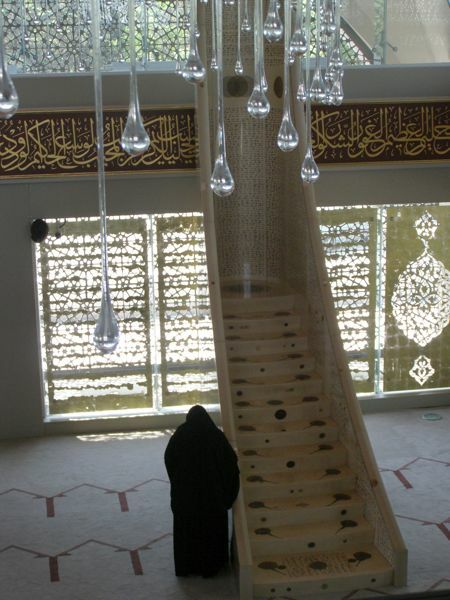 The typical prayer area for women in most mosques is segregated or screened off at the back of the mosque. Not so in the Şakirin Mosque. In fact, the area “designated for women” is the balcony, which seems to float above the lower level, surrounding the magical glass droplet chandelier that graces the center of the dome. You’d have to be there to understand why my eyes filled with tears as I entered that upper level. 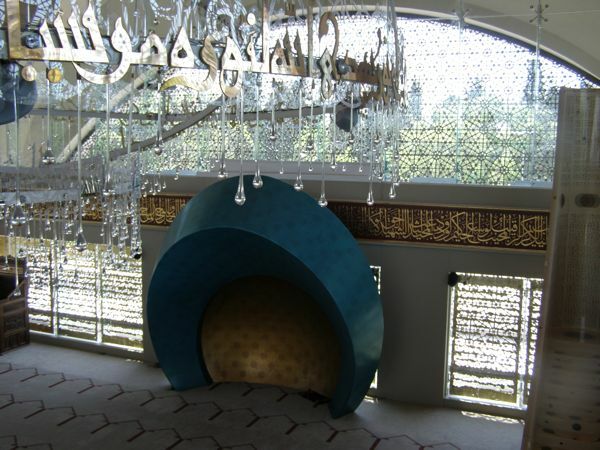 It was the best of the best; the pinnacle of the mosque experience. Designated for the women. 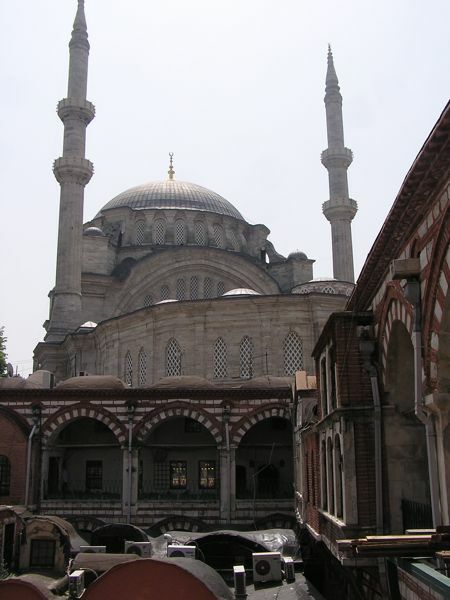 Commissioned by the Şakirs, a very wealthy Arab Turkish family, the mosque was built to honor their deceased mother. It combines both modern and classical elements, incorporating fountains, light, and inviting the surrounding greenery through it’s airy glass surround. The mosque sits majestically on a hill at the edge of an ancient cemetery. 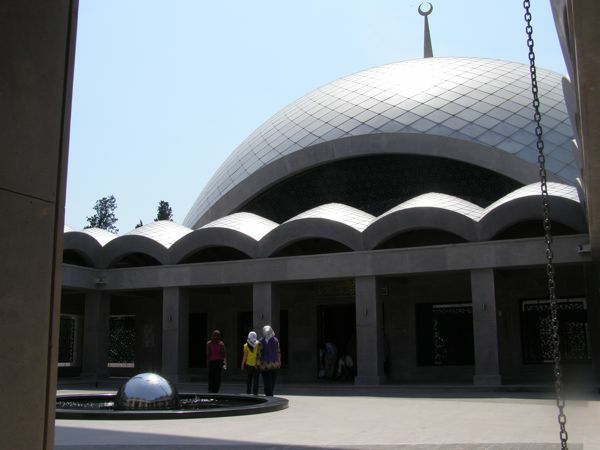 After marveling at the elegant exterior design of the mosque, one enters the courtyard to see a dome-like fountain that reflects the fluted roofs surrounding it. 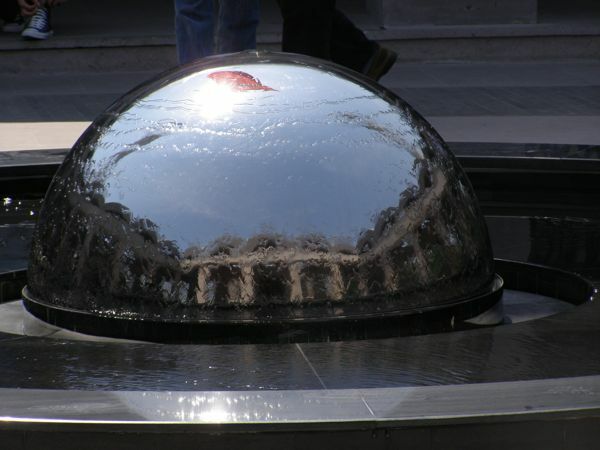 …and the domed fountain that reflects its image. 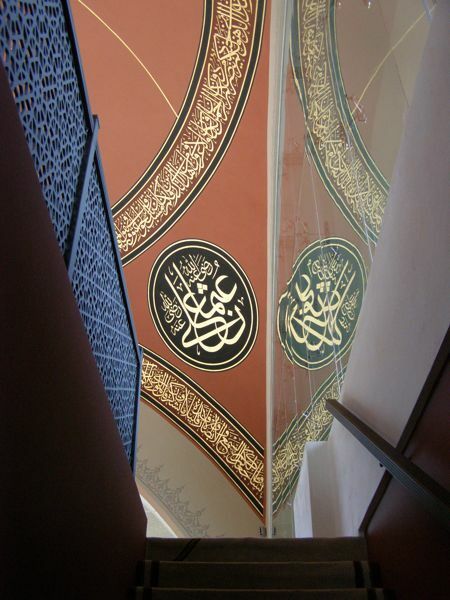 As you enter the mosque itself, the first thing that catches your eye is the mihrap, the niche that indicates the direction of mecca. 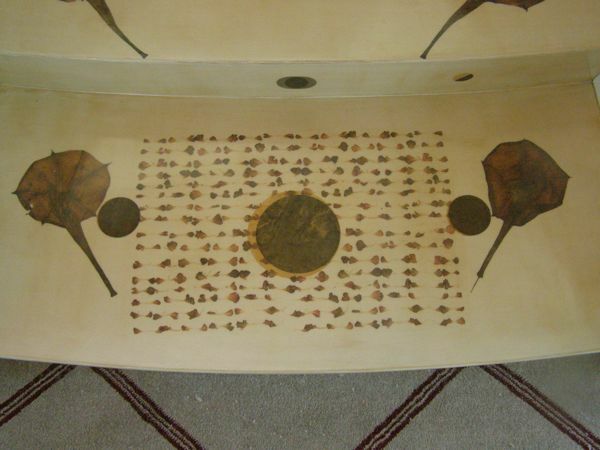 The Şakirin mihrap is a golden niche surrounded by a bold, turquoise tulip-shaped frame. I was particularly taken with the mahfili, what we would consider the pulpit. 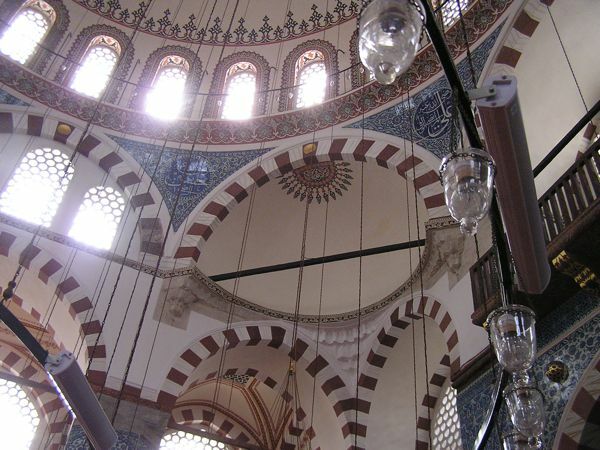 Often a centerpiece in classical mosques, this one seemed to flow smoothly from the floor to the glass windows above the back wall. 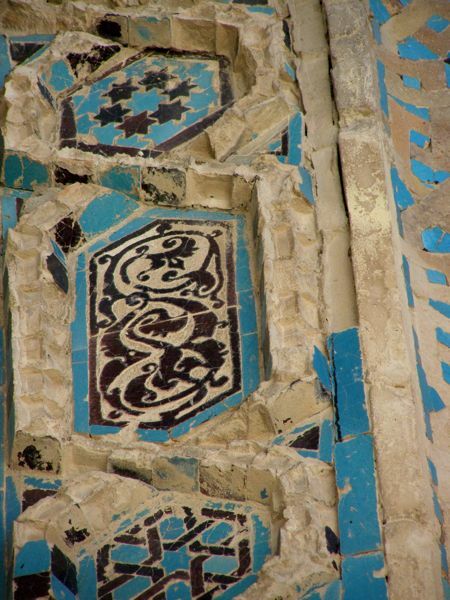 It was molded in what looked like a beige marble, covered with what I thought were Arabic letters. As I drew closer, though, I realized that the pattern was actually an intricate design of dried flowers, again pulling the natural world into the mosque’s interior. And then there’s the chandelier. Oh, my goodness! Hundreds of blown glass droplets hang from a circular flowing arrangement of Arabic lettering and clear plastic calligraphy-like designs. 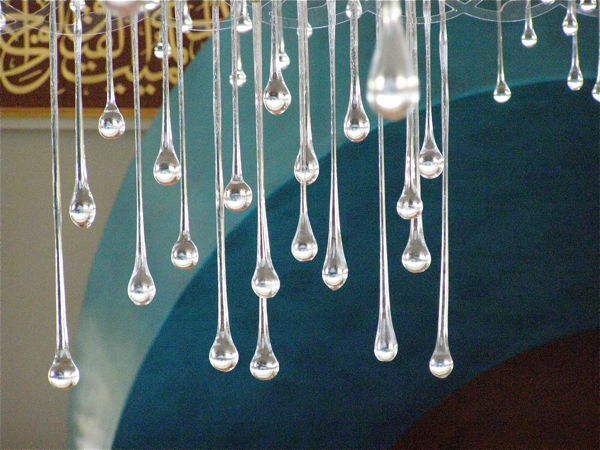 I can’t wait to return in the evening to see the dome and interior of this stunning mosque lit by that myriad of glass droplets. 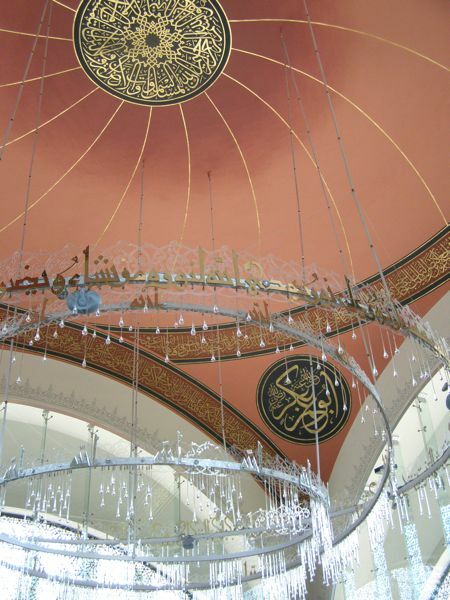 A magical chandelier reflects both light and color inside the airy mosque. 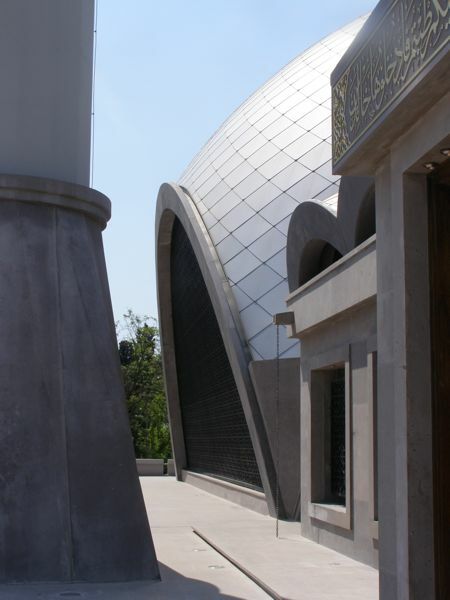 Of course, there has been controversy over this new mosque. 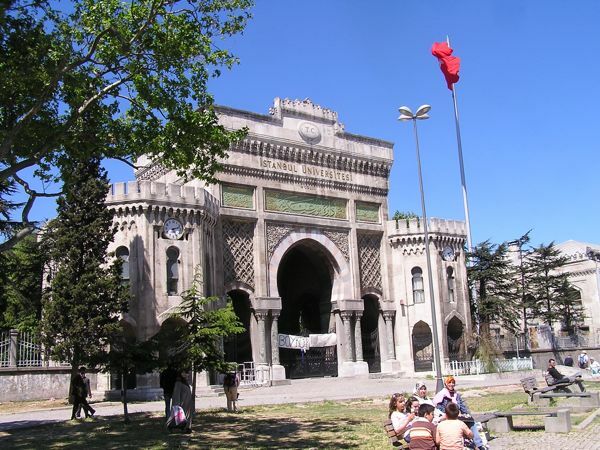 Fadillioğlu admits that she expected problems during the construction of the mosque, and she was pleased when nothing came up. 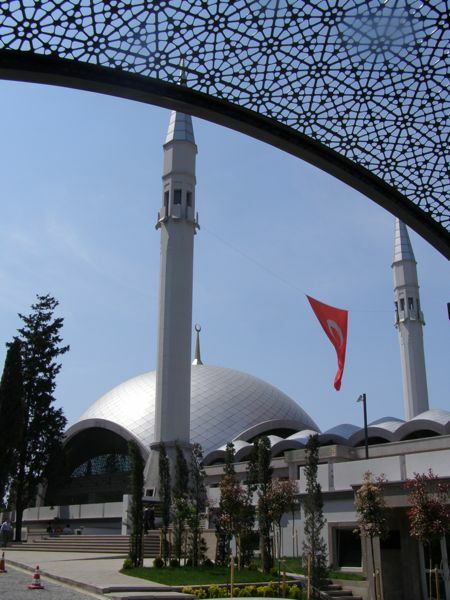 Since its opening, however, a number of Islamic traditionalists have spoken out against a woman “overstepping” her position in Islamic society. 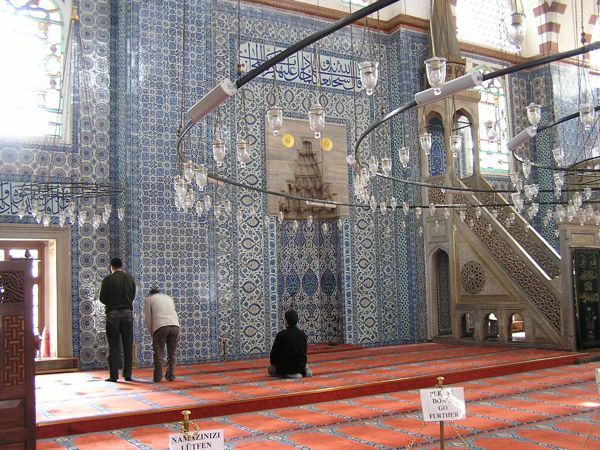 Many refuse to set foot in a mosque designed by a woman, but while we were there a number of traditionally dressed worshippers prayed in the sanctuary. Many Turks applaud this progressive step and look forward to women becoming more involved in Islamic worship. Designer Zeynep Fadillioğlu in her stunning Şakirin Mosque. For more information on the mosque (and the issues that surround it), check out these web sites. Just what the world needs: yet another tour guide. Oh, well—my humble addition to the ranks is finally on the bookshelves—in Turkey, at least. 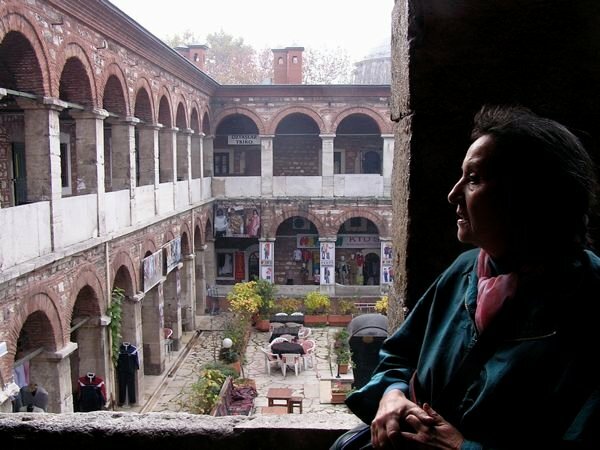 During my first year teaching in Istanbul, Tania Chandler and Jamilah Lajam introduced me to Edda Renker Weissenbacher’s fascinating tours through the back streets of Istanbul. I’d never heard of a han (an ancient inn) and never would have guessed that Constantinople once teemed with them. 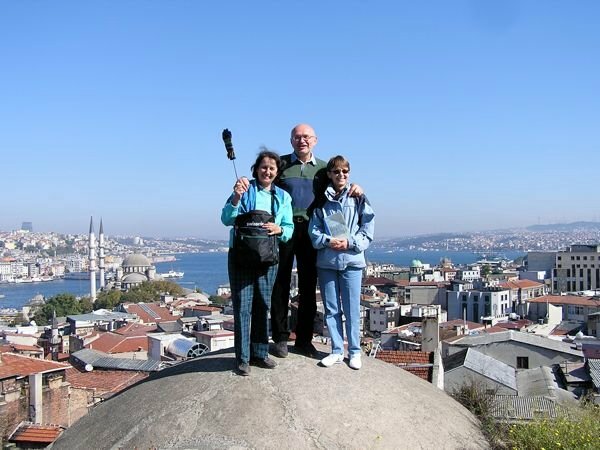 I was captivated by my first Edda Tour, which finished on the rooftop of the Buyuk Valide Han overlooking a stunning vista of Istanbul, the Marmara, and the Golden Horn. To top it off, as we gazed across the water at the Galata tower, the air swelled with a cacophony of muezzins chanting the Koran verses of the call to prayer. I was entranced. After my second Edda tour I was struck with a thought. 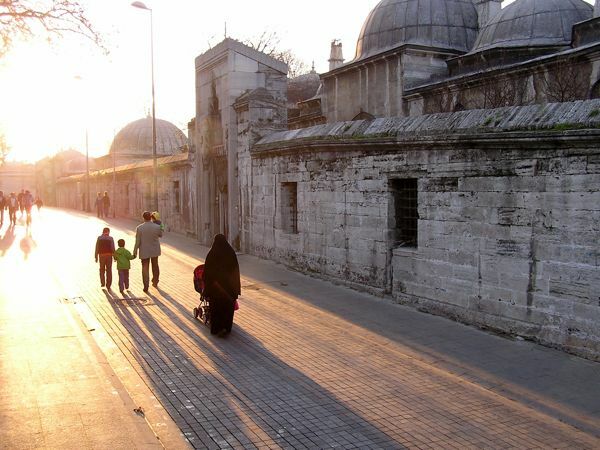 Why not make these tours available to anyone who visits Istanbul? At 70, Edda was unlikely to lead too many thousands along her back street tours, which meant they’d all miss out on this amazing experience. BUT—we could compile them into a book of self-guided tours. “Would you be interested in collaborating on a book of your tours, Edda?” I asked, a little worried that she might find my suggestion presumptuous. 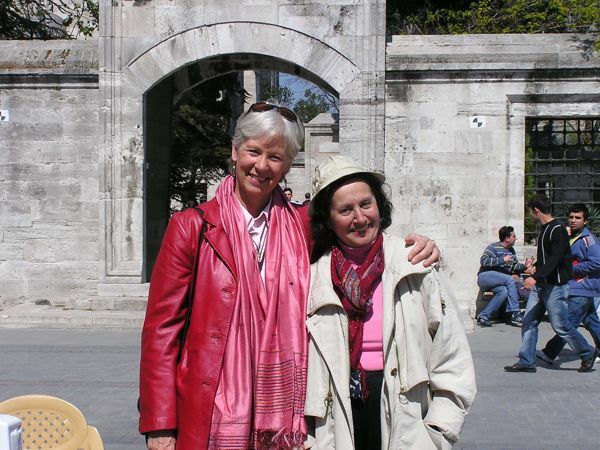 Me and Edda outside the Süleymaniye Mosque, writing partners! Once we’d discussed some of the details of the project, I pounded out a book proposal. Then I visited Greenhouse Books to browse through Turkey guides and hopefully identify prospective publishers. My first choice was Çitlembik, an Istanbul publisher that produces a variety of books on Turkish culture and tourism in both English and Turkish. I was astonished to receive an immediate reply from director Nancy Öztürk. She was excited about the project and wanted to sign us on. HOORAY!!! Little did I realize that though Edda has a good decade on me, her energy for this project would far outweigh mine. 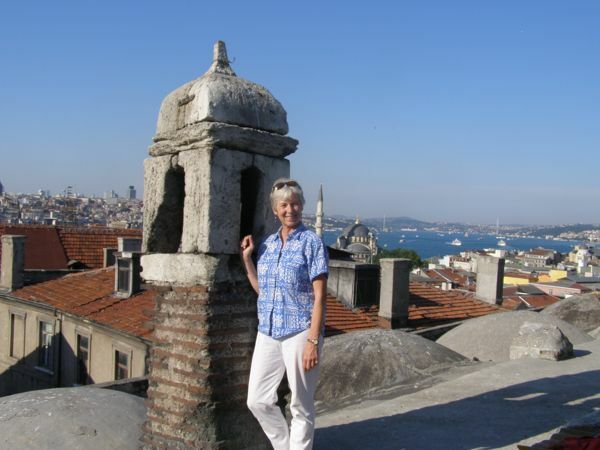 She led me up and down the cobbled streets of Istanbul as I snapped photo after photo. Over 2,000 of them, in fact (photos, not streets). 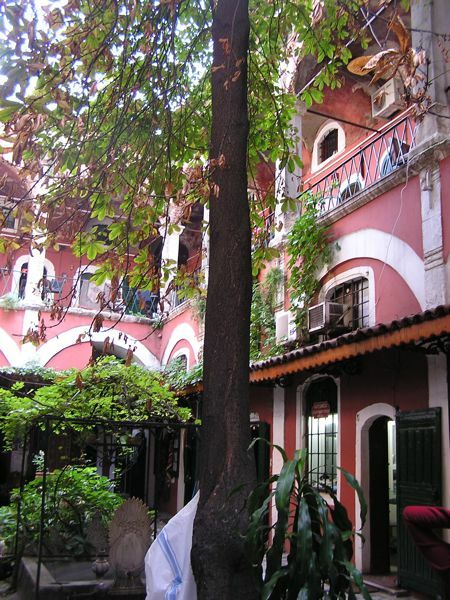 Early on, I often lost my way between the Grand Bazaar and the Egyptian Spice Bazaar, but it wasn’t long before I was very much at home on those narrow, cobbled streets. 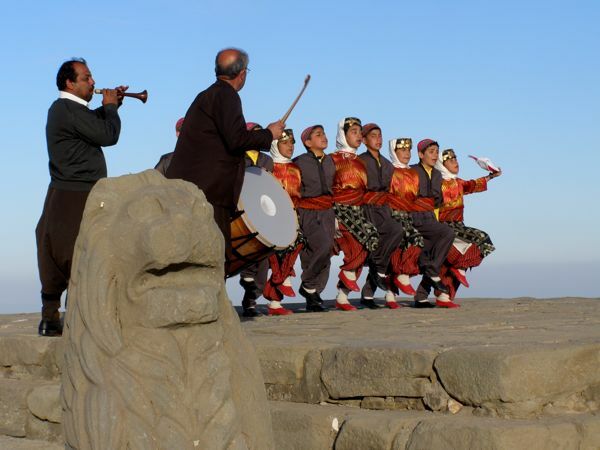 I’m standing on the roof of the Sair Han, another spot that overlooks the city. I drew careful maps of the tours we’d include in our book, re-routed them so they’d follow one after the other, and expanded on the descriptions that Edda provided of each of the nearly ninety sites. 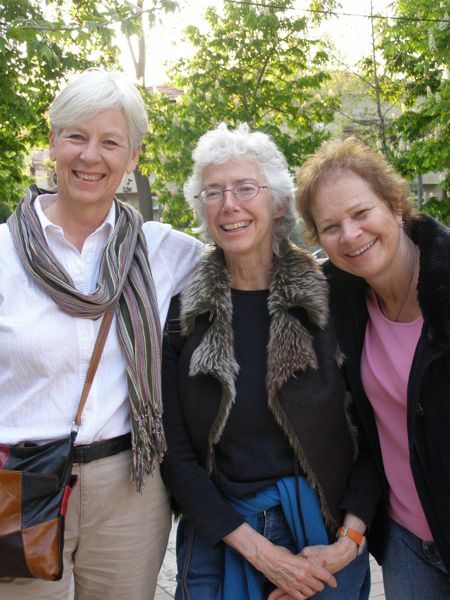 Four walks, hundreds of photos, and the combined efforts of two enthusiastic women. Ah, collaboration! 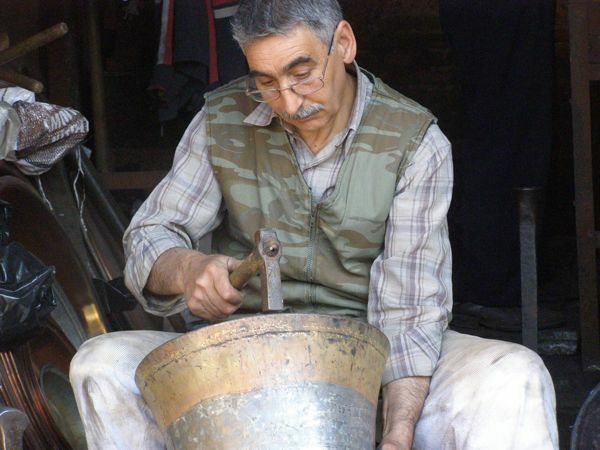 The Çuhacı Han, where goldsmiths work, with Nuru-osmaniye Mosque behind. In June of 2007, Edda and I parted. She left Istanbul to spend the summer with her husband in Austria, and I returned to Minnesota. It took me a while to settle into a routine, but I wrote four hours a day through September, October, and even more in November. We’d promised to turn everything in by the end of November, and I flew back to Istanbul to retrace my steps, correcting the maps, shooting final photos, and finishing up interviews for mini-features of merchants and craftsmen along our routes. What an undertaking it was! 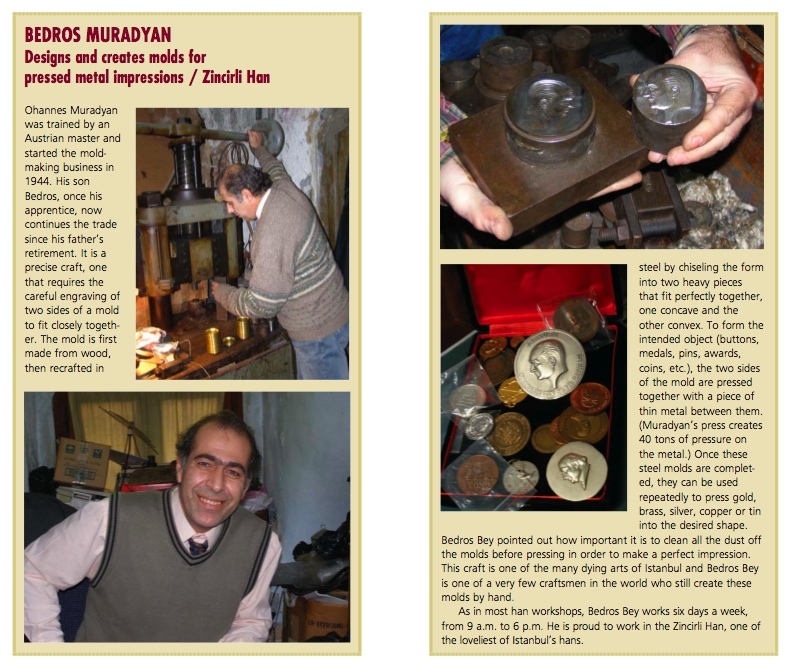 An article on Bedros Muradyan, one of 18 features in the book. Edda was back in Istanbul that November, and we trekked, chatted, and laughed together as we finalized everything. Edda had just bought a new Mac laptop, and she was like a sponge, eager for everything I could teach her about Macs. She never ceases to amaze me—and she’s a meticulous editor, to boot. 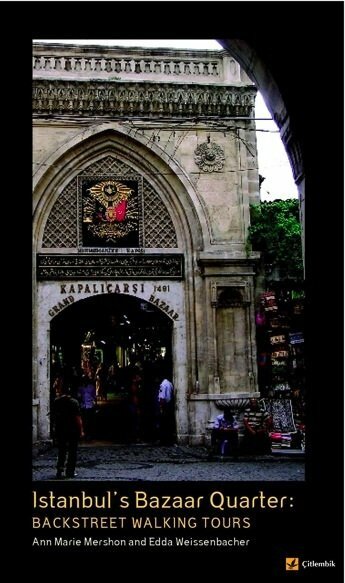 Well, two years later, our book is finally out: Istanbul’s Bazaar Quarter: Backstreet Walking Tours. Its 182 pages are 30 more than expected, but it offers what we’d hoped: a clear, well-researched guide to the hans, mosques, and bazaars of Istanbul’s Bazaar Quarter. 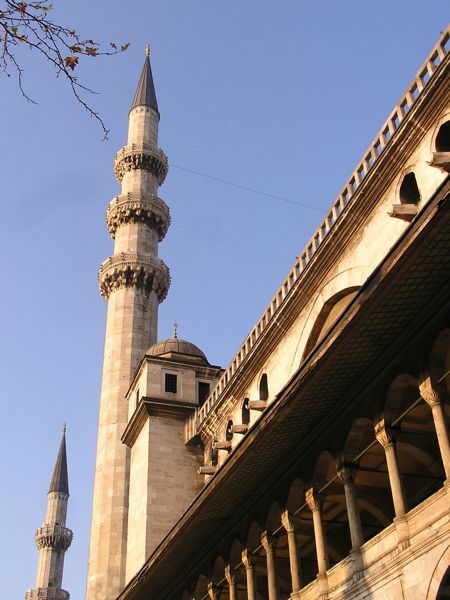 The book’s four self-guided tours draw its readers back through over a thousand years of this amazing city’s history. Whew! At last! And next week we’re celebrating with a book-signing event at the Koç School, complete with food and live music. Never a dull moment over here! When I first came to Turkey, I was alerted to the possible dangers for a Western woman traveling to Eastern Turkey. Well, last weekend was my third foray into the East, and I’ve never felt more like a celebrity in my life. Friends Stella Risi (South African), Lorna Richardson (English) and I (American) took advantage of our three-day weekend to visit the famed Mount Nemrut—the one with huge carved heads sitting atop its peak. We arrived mid-day on Friday and checked into our Malatya hotel, a VERY weak 4-stars. Like two. Oh, well. We dropped our gear and headed off to find lunch, which was thankfully a mere block from the hotel. We had Mercimek çorba (lentil soup), çoban salata (chopped tomatoes, cucumbers, and onions), bread, and an entrée (I had köfte, grilled spiced meatballs) for about $5 each. Go figure. 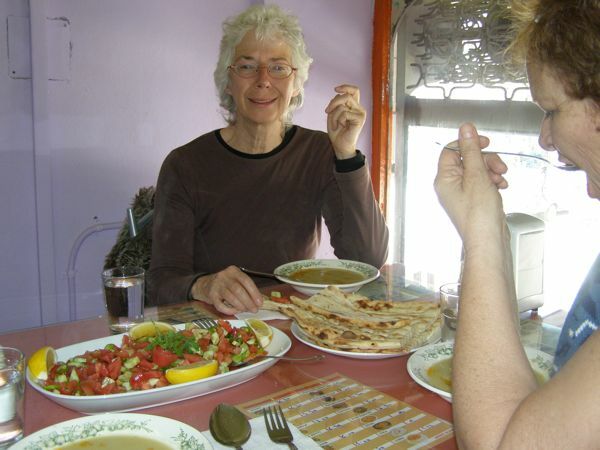 Food is MUCH cheaper outside Istanbul, and delicious to boot. The highlight of our explorations was the market, where we found scrumptious dried kayısı (apricots—the area’s specialty) and a few blocks where metal workers toiled right in the street. 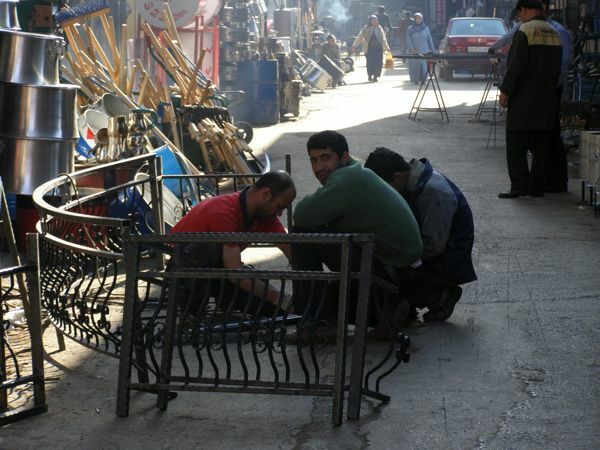 Welders with no eye protection, copper workers pounding on pots almost bigger than themselves, and knife crafters plying their trade. Pounding and banging, drilling and sawing sounds filled the air as we walked the streets, mesmerized with the scene. Later we discovered a vegetable market, another place filled with a cacophony of sound, and everywhere there were kayısıcı, apricot vendors with every type of apricot you could imagine, including the pits, which are much like small almonds, and nearly as good. 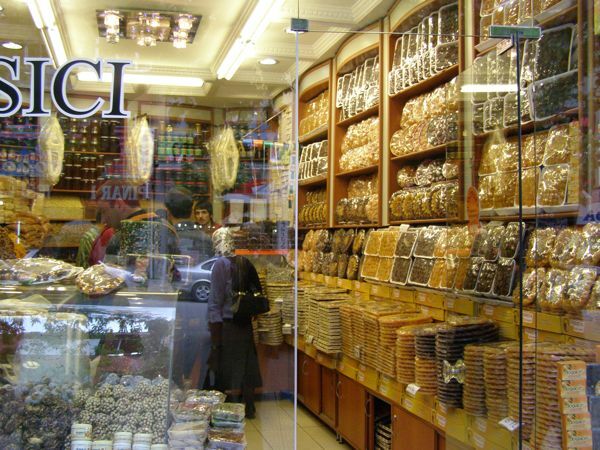 A peek inside the Kayisici apricot seller’s shop. ALL apricots! Saturday Lorna slept in while Stella and I headed off to explore near the hotel. We discovered a railway station where learned that the train from Istanbul costs a tenth of what we’d paid for airline tickets—but it takes ten times longer (30 hours). No way! As we wended our way back through a small residential area near the station, we encountered a woman scrubbing her carpet in the street. I snapped her photo, asking for advice on rug-cleaning. She hoses down the rug, sprinkles laundry detergent on it, and scrubs it with a long-handled brush. Then she rinses it off and hangs it out to dry overnight. Easy, she said. Right. I can just see myself scrubbing my rugs on the Devil Track Road! 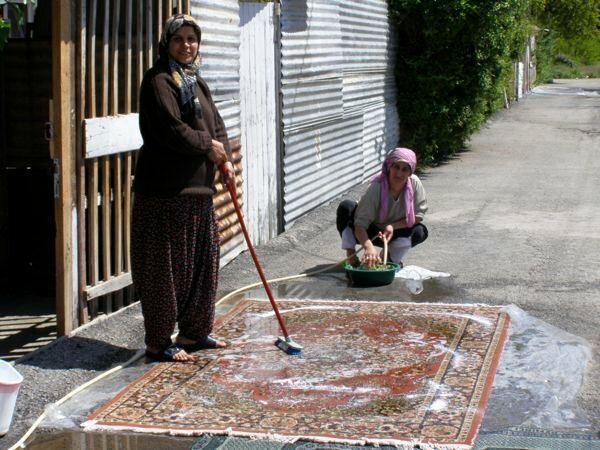 THIS is how you clean a Turkish carpet. She invited us for coffee (I expected Nescafe), produced small stools from her house, and treated us to the most delicious Turkish coffee I’ve ever tasted. As we sat, more and more neighbors joined us, all tickled to chat with the yabanci (foreign) women. Sheer delight. One of the ladies beckoned us over to a shed across the street to show us a litter of newborn kittens. Stella and I posed with the first neighbors who joined us. The boys spoke a little English. At noon we departed for our 22-hour tour of Nemrut. Our $60 fee included mini-bus transport (with 5 other delightful tourists, a Turkish family and two young women from Malaysia), a lunch stop, a sunset visit to the top of the mountain, lodging at the Güneş (sunshine) Hotel on the mountain, a second visit to the summit (sunrise this time), and breakfast. 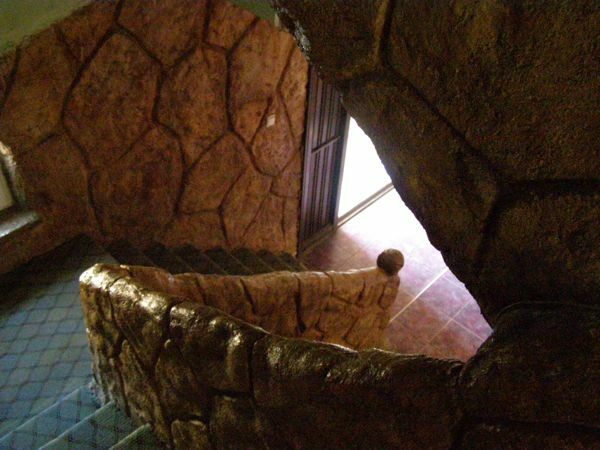 The concrete “mock rock” decor of the hotel stairway. We had great fun getting to know each other and sharing the adventure of a frigid hotel experience (no heat), the fascination of the mountain ruins, and the camaraderie of shared wine (brought it up there), soup and bread, chicken shish, and evening games (poker and checkers). 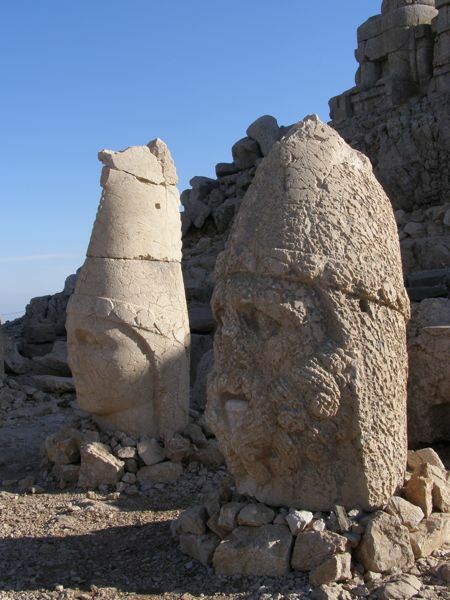 But the amazing thing, of course, was Mount Nemrut. At the top of this 2100-meter mountain sits a collection of statues and fragments dating back to the Kommagene dynasty of 80 B.C. 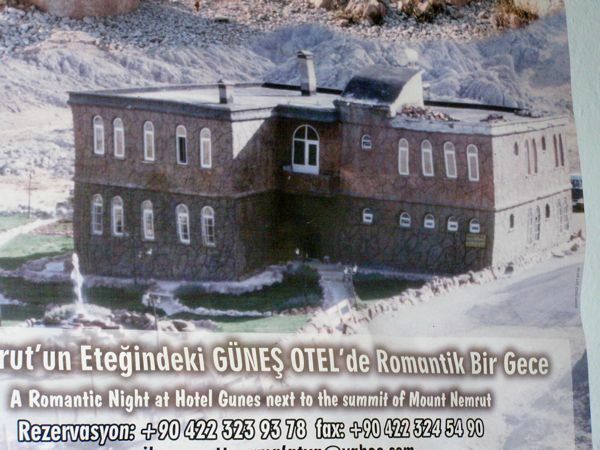 to 72 A.D. Overlooking the Euphrates River (Turkish name: Firat), the ruins on the mountaintop were never a community, but a shrine to the gods and to the ancestors of the dynasty. 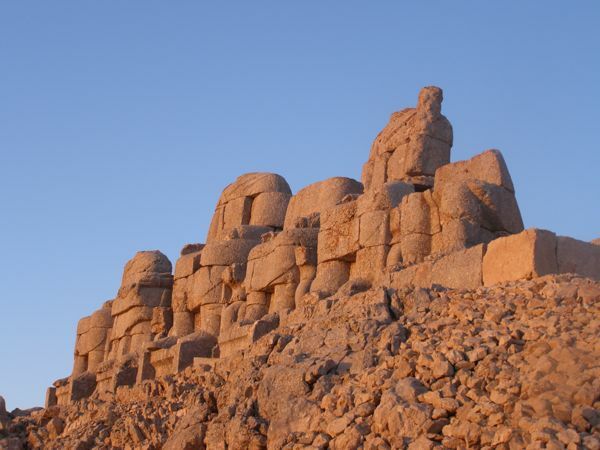 According to a website about Mount Nemrut, “The well-preserved colossal statues overlooking the court on the east are made of blocks of limestone and measure eight to ten meters in height. The figures are shown in a sitting position. Inscriptions identify the statues on the eastern terrace from left to right in the following order: Antiochos, the goddess Kommagene, Zeus-Oromasdes (the Graeco-Persian sky-god and supreme deity, and also the largest-sized statue), Apollo-Mithras, and Herakles-Artagnes. 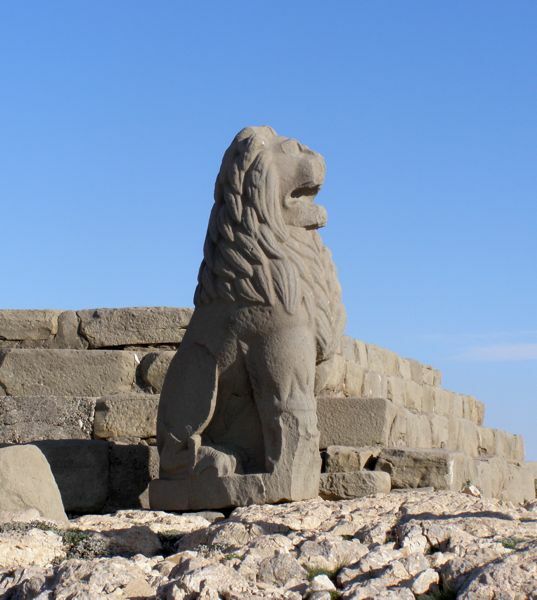 On either side of the divinities stood a guardian eagle and lion. 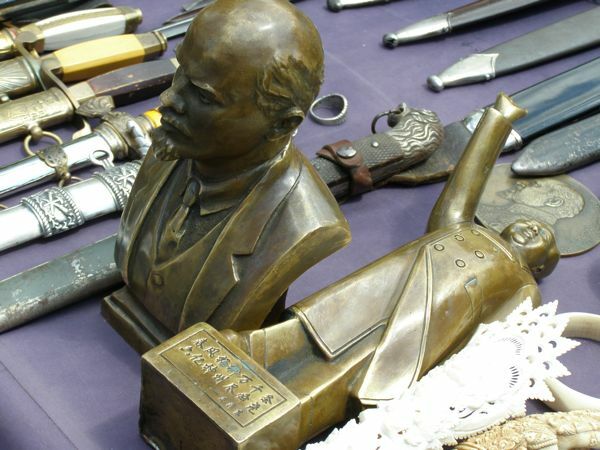 Unfortunately, the heads have fallen from their seated bodies, but they’ve been set up so that they can be admired. Perhaps these multi-ton heads will once again sit atop their bodies. It was all truly amazing, particularly as we viewed the statues in the slanting rays of the late-day sun. 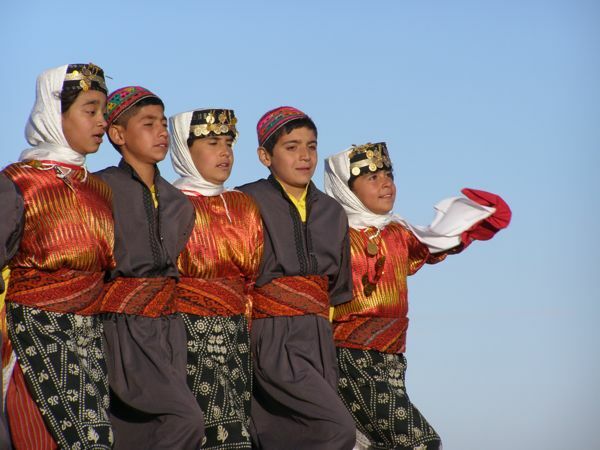 Our bonus, too, was a traditional dance performance by a group of children from a nearby village, probably in honor of the May 1st holiday. Lucky us, huh? 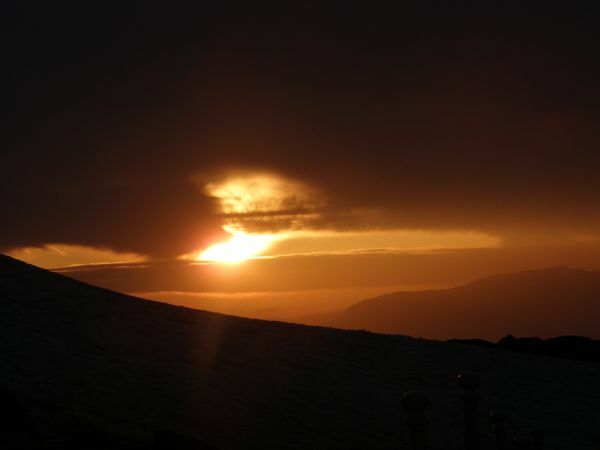 Of course, I haven’t mentioned that it was incredibly cold up there, well below zero, especially the next morning before the sun came up .WINDY!!!! They were tickled to pose with a yabanci (foreigner). 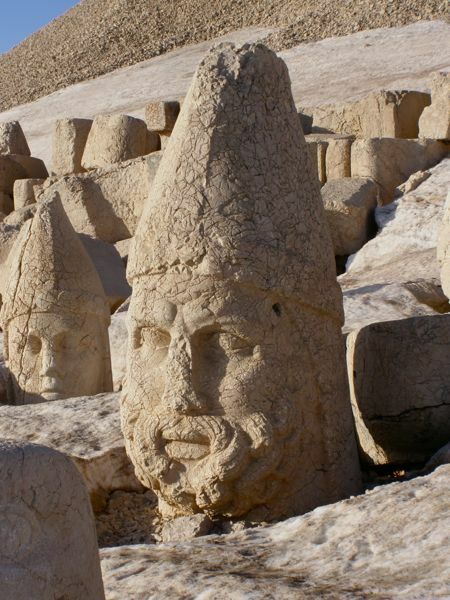 Although we didn’t get to see it, Mount Nemrut is the site of history’s first known astrological symbol, part of a lion statue which is presently being renovated (in a locked building). After breakfast we returned to Malatya and spent the afternoon exploring Eski Malatya (ancient Malatya) a small city about 11 kilometers away. 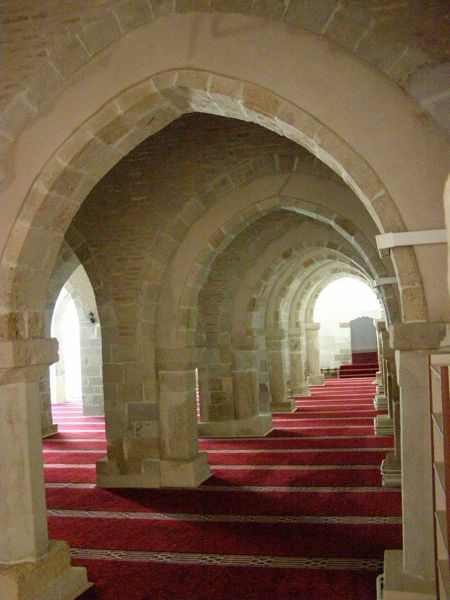 There we explored the renovation of an old caravansaray and the newly-renovated Ulu Cami (mosque). Both lovely. 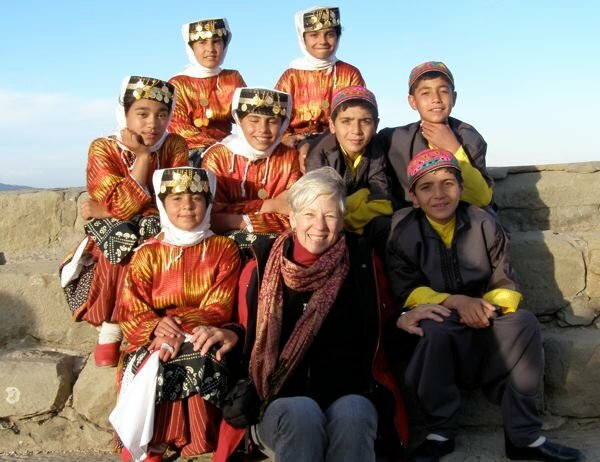 Before we knew it, we were thronged by a herd of little boys eager to show us their village. They helped us find a restaurant, then waited outside, watching us eat our lunch of mercimek soup and coban salata—always our favorite lunch. Rather than fend them off all afternoon, we caught a bus back to Malatya, where we meandered lazily back to our hotel, soaking in the sights and the sunshine, sampling coffee, tea, and sweets along the way. Each time you eat a dried apricot, it probably comes from Turkey—from the area around Mount Nemrut. Imagine! 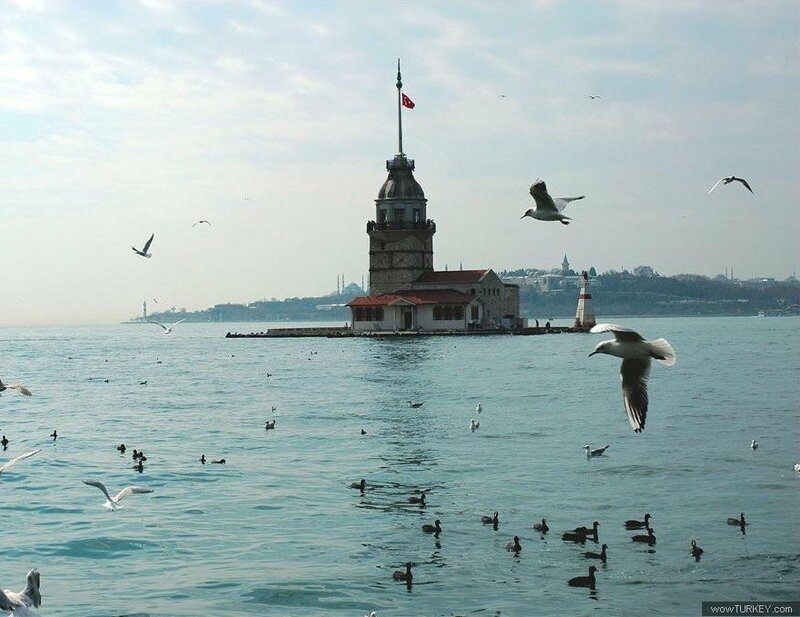 I’ve always been intrigued by the Maiden’s Tower, an enchanting little “island edifice” perched near the south end of the Bosphorus. Charming in its own right, its legends add to its mystique. 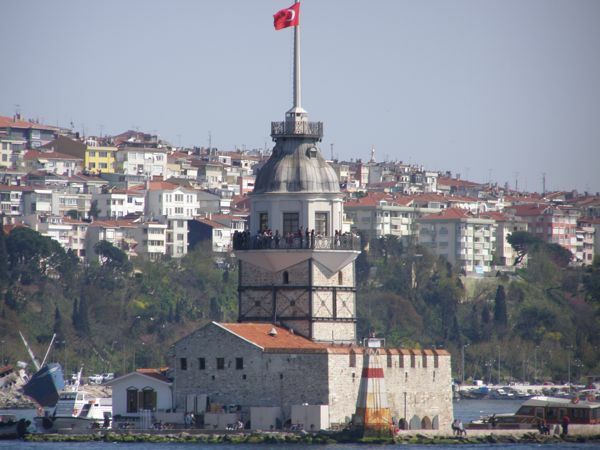 First built in 408 B.C., the tower helped the Byzantines control the movement of Persian ships up the Bosphorus Strait. 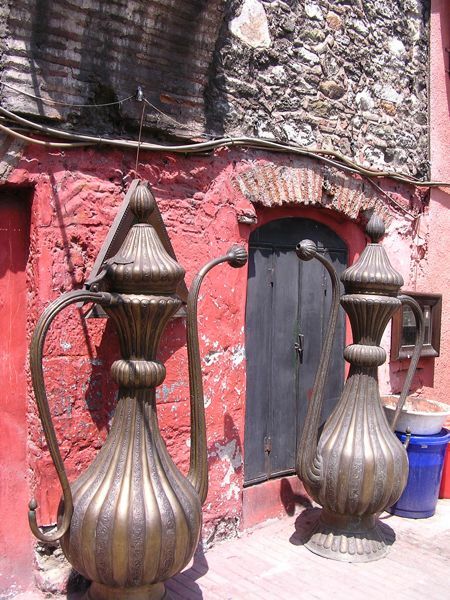 At that time Istanbul was two cities, Byzantion (on the European side) and Chrysopolis (on the Asian side). 1500 years later, the tower was converted into a fortress by a Byzantine emperor and continued to be restored and modified numerous times, with its most recent facelift in 1999. So—the legends? Well, my favorite is the story of a sultan’s daughter born to a prophesy that she would be killed by a venomous snake on her 18th birthday. Her father had the tower built in the middle of the Bosphorus to protect his beloved child from snakes. (Thinking, no doubt, that the snakes of Asia Minor didn’t swim.) He guarded her jealously, treating her a bit like Rapunzel. On her 18th birthday the sultan redoubled his vigilance, allowing her no gifts. Choosing to celebrate this momentous birthday with her privately, though, he brought her a basket of scrumptious exotic fruits that he had specially ordered for this event. As they tasted the sumptuous fruits, one by one, a snake emerged from the basket and bit the young princess, who died instantly. The moral to the story must be “Don’t tempt fate”—or something like that. For obvious reasons (no Prince Charming in the picture), the fortress was thereafter known as the Maiden’s Tower. The tower has another, more historical name as well. It was long known as Leander’s Tower, named after a Greek myth about Hero and Leander. 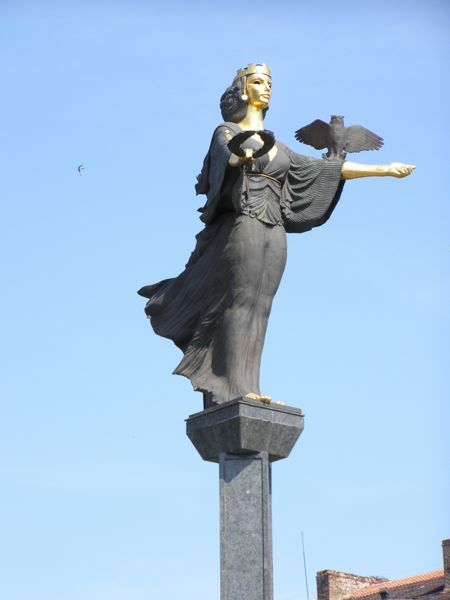 The lovely Hero was one of Aphrodite’s priestesses, and she lived in a tower at a point called Hellespont at the end of the Dardanelles (where the Sea of Marmara feeds into the Aegean). 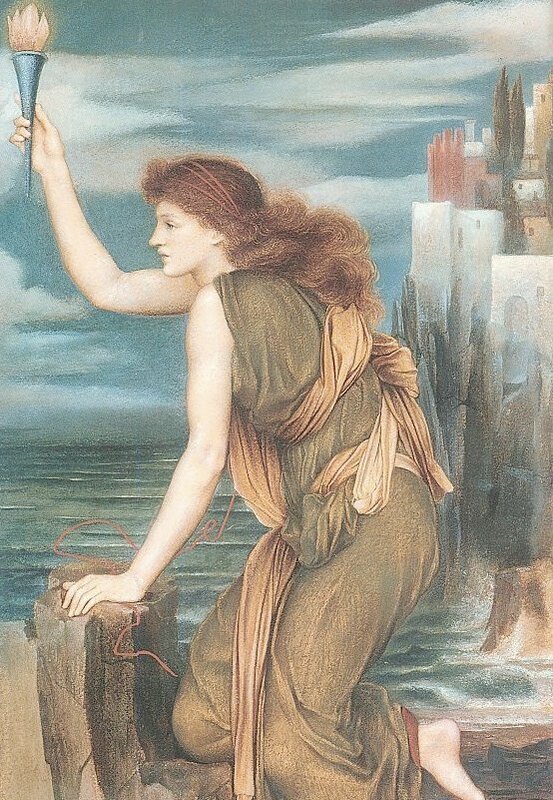 Leander lived on the other side of the strait, and every night he secretly swam across it to be with Hero, who lit a lamp in her tower each night to guide his way. It wasn’t long before Hero succumbed to Leander’s charms and allowed him to make love to her, a tryst they repeated often through the warm summer. Leander continued his nightly swim even into the long, cold nights of autumn, until one night when a violent storm blew out Hero’s lamp and lashed Leander with huge waves until he drowned. 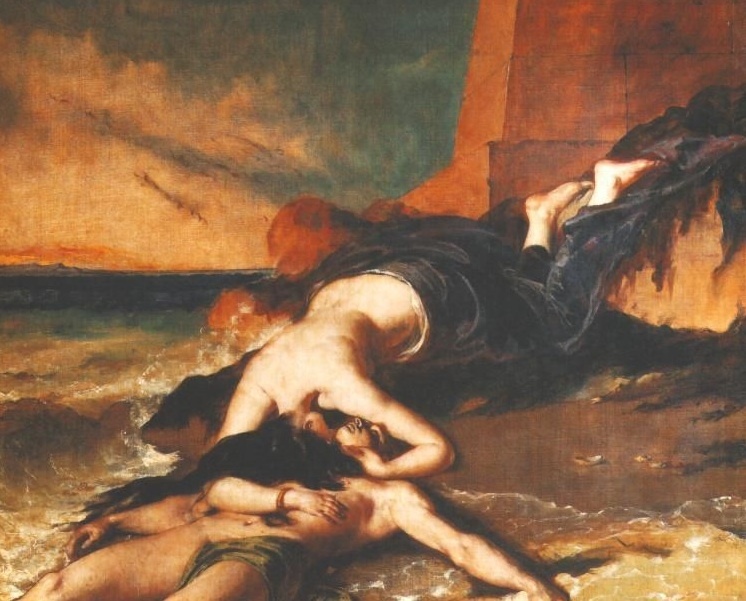 When Hero realized that Leander had died, she threw herself from the tower to rendezvous with her lover at the bottom of the sea. Leander’s Tower, yes. But Maiden’s Tower? Hmmm… Lucky Hero, who was at least able to enjoy love for a while. But then, could it have been Aphrodite who created the storm? Tough call. I still prefer the story of the sultan’s daughter—fits the moral codes of Turkey a bit better than the Greek myth. This spring I hope to ferry out and enjoy tea in the tower’s restaurant. It’s just one of those tantalizing Istanbul experiences I’ve yet to savor.